This post is dedicated to Mumbai, that bustling joyous hardworking capital of Maharashtra. This week saw the 10th anniversary of 26/11 – an attack that tried but failed to bring down this resilient metropolis, for many who love her, the heart of India. Terror attacks, floods, protest marches and violent riots, Mumbai has seen them all, and yet has somehow picked herself up and got going again, after each calamity. 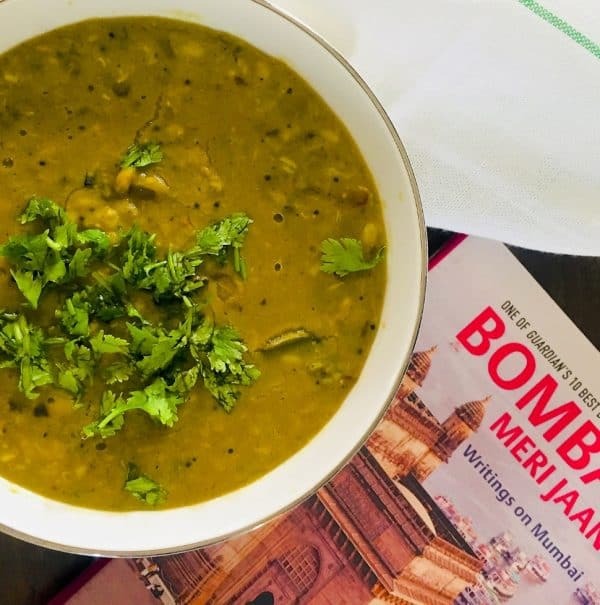 How better can a food blogger honor her than by dedicating to Mumbai, this post on a typical Maharashtrian Amti Dal with Goda Masala. 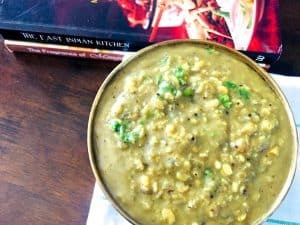 Before you ask me why I call it Amti Dal, when Amti would suffice, it’s because many of us may not recognise Amti, but all or most of us know what Dal is. (And another compelling reason, well, the bloggers nemesis, SEO. But lets not talk much about that!). 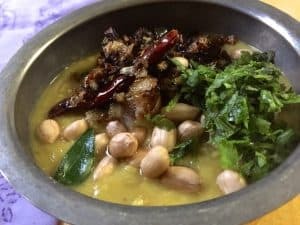 Amti, however, as I understand it, is a little thinner than a North Indian dal, and apart from being seasoned with spices and condiments, also has tangy flavours from kokum or tamarind. But, as Kaumudi Marathe explains in ‘The Essential Marathi Cookbook’ its not such a simple definition. 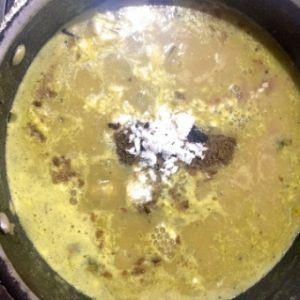 Kadhi, buttermilk thickened with gram flour, she says, is actually an amti and some people call thick amti as varan (which is usually the thick dal from split pigeon peas or other split lentils). After much serious reading, I’ve concluded that this Maharashtrian Amit Dal with Goda Masala, is in fact an amti, not very thick, seasoned with spices, flavoured with kokum and jaggery and also with the traditional Maharashtrian Goda Masala, a bit of coconut too, and therefore as authentic a recipe from Maharashtra’s cuisine as I could identify. The Goda Masala in this recipe is store bought. I wanted to make it from scratch but needed to get Dagad Phool /Patthar Phool/ Stone Flowers/Rock Flowers, as well as Nagkesar/ Cassia buds both of which were required in the recipe I tracked down. Of course there are many recipes for making Goda Masala, but I had to freeze on what felt most authentic to me. 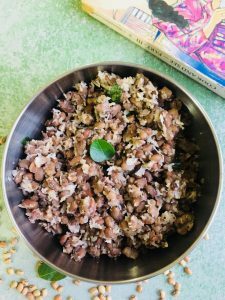 As this post on ‘Maharashtrian Amti Dal with Goda Masala’ had to be published before the month end for the Sshh Group Maharashtrian cuisine theme, and as the Stone flowers would be delivered too late for that, I had to give up at least at present, the plan for homemade Goda masala. This Maharashtrian Amti Dal with Goda Masala is of course only one small dish from Maharashtra’s vast culinary collection, what with its different regional cuisines including from Konkanastha Brahman, Saraswat Brahman, Maratha, Kayastha, Koli fishing and boating community, Konkani Muslims and Malvani Muslims, East Indian Christians, Bene Israeli Jews, Kolhapuri, Konkani and more. The Amti may be made with just Tuvar dal, but I have gone for a Five Lentil one – Pach Dalinchi Amti as detailed in The Essential Marathi Cook Book that I mentioned above. I have deviated from the recipe in the book though, not only in the quantities and proportions, but by adding coconut as well as goda masala. The flavours were amazing. I had it with rice and ghee and a dry bhindi sabzi, but it would be good with roti too. This recipe would make for a great slow cooked amti, but instead I soaked the dals for an hour and then pressure cooked it. After that it took only a short time to make. Remember to soak the kokum in warm water so that its easy to crush it and add it to the dal as in the instructions below. Onions and/ or jaggery may be omitted if you choose. 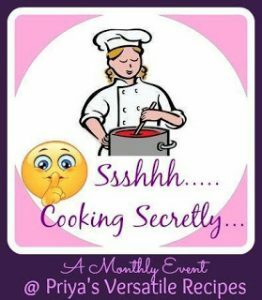 The theme for the Shh Cooking Secretly Challenge Group, for November, is Maharashtra’s cuisine. We have been making our way thought one Indian State after another, cooking our way through. As usual, each of us was partnered with another and we exchanged the names of 2 ingredients suitable to that months theme. My partner Archana Gunjikar Potdar suggested simple ones: chilli and oil, and that gave me a lot of scope to choose what I should make and write about. As I wanted to make something typical to the State, I decided finally on the Maharashtrian Amti Dal with Goda Masala. I posted the image of the dish on our FB Group, and the others had a hard time guessing the 2 ‘secret’ ingredients, though of course they finally got it right! Its difficult to guess ingredients like oil and salt! 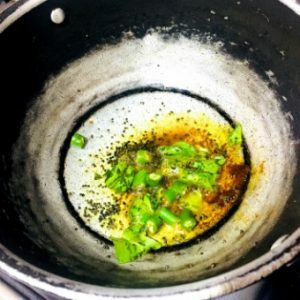 Archana blogs at The Mad Scientists Kitchen (don’t you love that name? I do!). When you visit her site, you will see that it has a lovely collection of recipes from Indian as well as World cuisine. Check out her delicious looking Qorma-E-Sabzi and the Sugar Free Dates Rolls, to start with! For this theme, I suggested Tamarind and salt as Archana’s secret ingredients, and she turned out this Chinch Gula Chi Bhendi Bhaji. Not your simple Bhendi ki sabzi, this easy stir fry has all the typical Maharashtrian ingredients of goda masala, tamarind, coconut and peanut powder, raising it to a very special curry indeed. Maharashtrian Amti Dal with Goda Masala and with 5 different lentils. Also Seasoned with Kokum and Coconut. A traditional, nutritious, vegan, gluten free and flavourful dal that's easy to make. Wash, rinse and soak the dal in enough water to cover it for about 1 cm above the surface of the dal. Soak for at least 1 hour. Drain the water, rinse and pressure cook the dal in about 3 cups of water, for 2 whistles. Allow the cooker to cool by itself. Lightly mash the cooked dal and set aside till required. Preparation: Soak the kokum in 2 spoons of warm water for at least 15 minutes. Do not discard the water after soaking, as we are going to add it to the dal. Slice onions, chillies, mince coriander leaves and curry leaves. Grate the coconut and powder the jaggery. Heat oil. Add mustard seeds, and after they crackle, asafoetida and haldi, sauté for 10 seconds. Add curry leaves. Add green chilli, let it scald. Add the onion slices, sauté for 2-3 minutes till they begin to darken. Add the cooked dal, and if it is thick, add ½ cup of water and stir it in. Bring the dal to a boil and then reduce the heat and simmer for 2 minutes. Add the seasonings one by one and stir, goda masala, jaggery powder, grated coconut. Crush the soaked kokum and add it with its water. Add salt, stir, taste and add a little more of the seasonings Simmer the dal for about 10 minutes, stirring frequently to make sure it does not catch at the bottom of the pan. Remove from the heat, garnish with coriander leaves and serve with hot rice, ghee, sabzi. Glad you liked the post, Sasmita. Im trying out more recipes with goda masala, I love the flavour! I really liked this Dal, Priya. Ive started using both kokum and goda masala in my cooking on a regular basis. Look at the post now, Sorry, it must be drool covered now. Amti is such a big comfort. I love the recipe each time i make it. Ha ha! Thank you, Seema. It is, isn’t it. Easy to make and so delicious. Amti looks so comforting di ! Aamti bhaat and tup is such a comfort food. Thank you, Poonam. For me it was totally new. Had to read up a bit to understand what Amti is, and then source the ingredients like the goda masala. The dal was delicious! Recently tasted this dal in my friend’s place and loved it.. Thanks for sharing.. will try soon! Thank you Priya! It has great flavour! Thank you, Veena! This has now become a favourite with me. 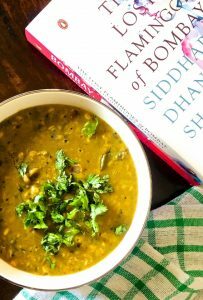 These days I often make mixed dal. This one looks delicious with that goda masala in it. Shall try it sometime. Thank you, Jayashree! I am planning a few more recipes with good masala and kala masala, I liked this dal so much! this is such a healthy dish with so many varieties of dals in it. I am sure it would have been delicious as well with a bowl of rice. Thank you Anu! It is a very flavorful dal! Amit with aloo begun bhaja, sounds like Heaven, Sujata Roy! Amti Bhaat with Tup (ghee) and some fried potato on the side is just what a perfect weekend meal looks like. I love that you have used a mix of dals to make the Amti. Oooh! Fried potatoes. Now why didn’t I think of that! Next time for sure, when I make Amti again. 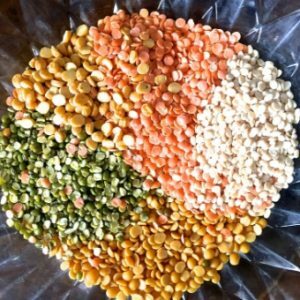 I love mixed dal recipes and your combinations sounds delicious! also kokum, jaggery, and coconut… I definitely have to try some amti 🙂 I miss cooking with kokum… I used to love its flavour in curries and also the sol kadhi but I can’t find kokum here in the market… wondering if turmeric can be used instead? Thank you Ashima. You can use tamarind extract instead of kokum, for curries. For sol kadhi – the colour, look and flavour would of course not be the same if you use a kokum substitute. A very delicious anti indeed. You have used all the typical Maharashtrian flavours of goda masala , coconut and jaggery to sweeten a bit. Yum. Sujataji, lets trade some dagad phool for the books, shall we? Haha. I have been born and brought up in Mumbai and ate Sambar at home with as much enthusiasm as an Amti. Love all the Amti versions with and without goda masala. I tend to add a bit extra jaggery for the sweet taste with bhakris. Somehow the simple recipes always touch your heart! Thats a great idea Vidya! But only if I can bear to part with any of my books. I hoard them like a miser! Thank you for the kind words. How come my comment not come through? Anyway thank you for choosing to make amti as I believe it is the backbone of Maharashtrian cuisine. You have done a wonderful job. If you remember we were discussing goda masala and kala masala. MasterChef at home has said the 2 are the same and the only reason it is called kala is because it is black and goda because jaggery bring out flavours. The variation are something endorse ( she does not cook as much now but she used to) . Thanks you for the kind words about me and my blog. You have made my day. Thank you Archana for the nice words. Earlier comment not coming through – happens in blogs sometimes! About goda masala and kala masala, well I have quoted what the author of the book said! And I did get two different spice mixes online, one for each of these. Should try both out to see if I feel much of a difference in taste. What a lovely color.. looks so yummy. Amti dal looks absolutely comforting with different flavours.. Am yet to cook with goda masala. Am sure this dal will definitely please anyone’s tastebuds easily. Thanks for sharing this fabulous dish. Thank you Prathima! Thats how I had it too! 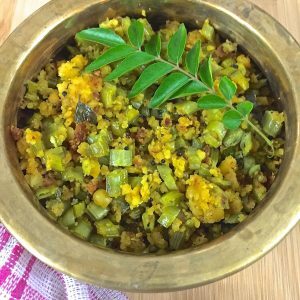 Amti Dal, steamed rice , some ghee – all bliss !! such a lovely pick for the theme 🙂 it surely looks very inviting ! Thank you Kalyani. These traditional recipes are so tasty, right? The amti dal looks lipsmacking good… and with the flavors that have gone in, I am sure it must have been amazing! Thank you, Rafeeda! It was really nice and I will be preparing it again soon! Amti looks so delicious, a different recipe and an opportunity for me to use different lentils and make it in a totally different flavor. Wonderful info about amti. Thank you Mayuri. All these different themes we try on our groups makes me read and research about each Indian cuisine. I find it very interesting! Though I don’t have access to authentic cuisine books…I still find discovering new dishes very interesting. It is difficult not be able to pick up books that you want unless you come over to India.Im so lucky to be able to get whatever I want. Hopefully more of these authentic recipes will find their way online so we can easily browse them! BTW, you get stone flower at MK Retail in HSR Layout. Thank you Priya. And thanks a ton for the information, will get some soon then and make the Goda masala for myself!